If you don't see what you're looking for, please contact us. We have many contacts both locally and in Europe and can help you find exactly what you're looking for. 2001 17 hand German bay mare by Diagonal. Very brave, easy and seasoned in the show ring. 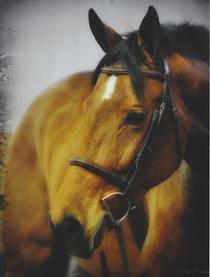 With her wonderful personality and enormous jump, she is a favorite of everyone in the barn. Diana has successfully competed in the Amateur/Owner jumpers and has just come back from competing on the Young Riders' Tour. She has already been a consistently winning mount and showing in the equitation ring in Wellington proves her true versatility. She is bold, honest and the greatest teacher. A great choice for the competitive jumper or equitation horse that you are looking for. 2001 16.3 hand Slovakian gelding. Sting is a sweetheart who is as attractive as he is talented. Having competed successfully in Germany, the Dominican Republic and the US in the 1.30 m, he is well traveled and very seasoned in the jumper ring. Having just completed a successful season in the equitation ring, he is truly versatile and well rounded. ​2002 17.1 hand Hanovarian gelding by ES Rienzi out of MS Lanthana (HLP Lanthan). Rocky's extensive training in dressage has made him as easy as can be on course. A recent convert to the world of show jumping, Rocky has proven to be careful, scopey and brave. He is the perfect choice for anyone looking for an easy, versatile horse.